Pricing for most hearing aids today is determined by the type of hearing aid chosen and level of technology. Utilize Bluetooth technology or 2.4 GHz. These hearing aids communicate with each other to help you hear better in noise. Cell phones, TV, iPad, computers or any Bluetooth device can be connected wirelessly to the hearing aid to stream audio. Are less expensive and can be made smaller due to the fact that they do not require the extra space for a wireless transmitter and receiver in the hearing aid. Most newly manufactured hearing aids today utilize microchip technology with speech processors to improve speech understanding and reduce background noise. 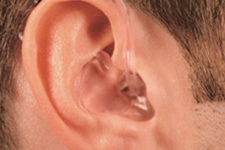 Least expensive hearing aid on the market and are non-digital. These tend to be the least expensive hearing aids available today. They are simple analog amplifiers that amplify sounds much like the way a home/car stereo amplifier amplifies everything equally. Invisible-in-canal (IIC) hearing aids are for mild to moderately severe hearing loss, completely invisible in most ears, and custom-made for you ear canal. Completely-In-Canal (CIC) hearing aids are for mild to moderately severe hearing loss, virtually undetectable, and custom-made for your ear canal. 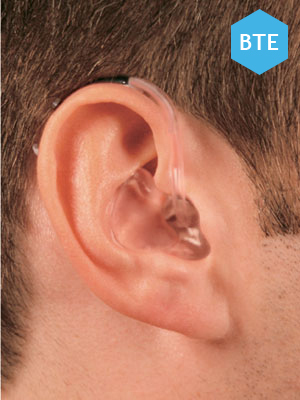 In-The-Canal (ITC) hearing aids are for mild to mildly severe hearing loss. Available in a variety of technology level selections that once required a larger aid. Custom-made for your ear canal, available in light brown, medium brown, chestnut and dark brown skin tones. 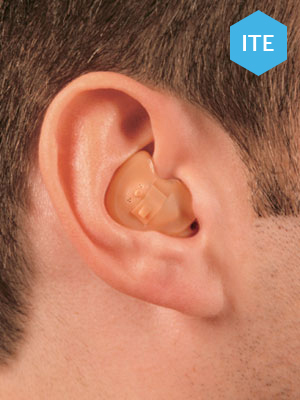 In-The-Ear (ITE) hearing aids are for mild to severe hearing loss, easy to adjust, custom-made for your ear canal. Available in light brown, medium brown, chestnut and dark brown skin tones. 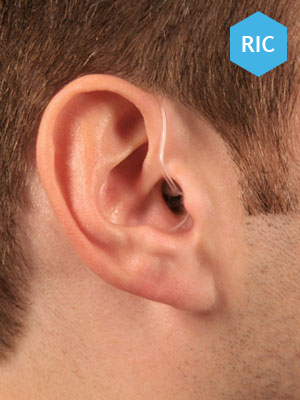 Receiver-In-Canal (RIC) hearing aids are for mild to severe hearing loss. Open fit design uses a small behind the ear device that delivers sound through a small speaker (receiver) that fits in the ear. 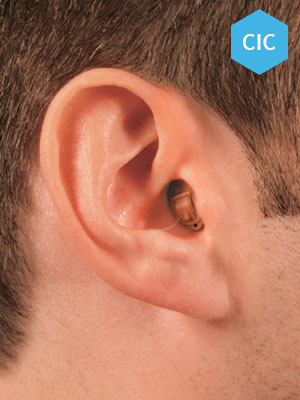 Micro Open Fit hearing aids are for a mild to severe hearing loss. Open fit design uses a small behind the ear device that delivers sound through a small tube. 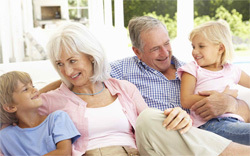 Behind-The-Ear (BTE) hearing aids are for moderate to severe hearing loss, no hard-to-use buttons or dials, discreet design, available in a variety of colors. Conductive hearing loss occurs when there is a failure in the conduction of sound waves through the ear canal, eardrum, or middle ear. Something is blocking the transmission of sound to the nerve of hearing. This can be caused by a variety of factors, including: wax impaction, ear canal infection-fungus or object in the canal, ruptured ear drum, fluid behind the eardrum or middle ear infection. 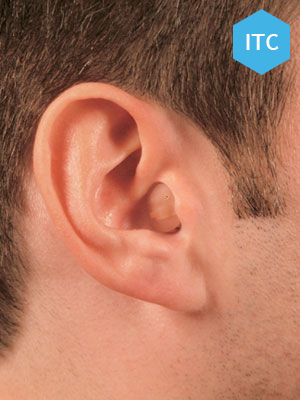 Conductive hearing loss usually involves a reduction in sound level, or the ability to hear faint sounds. This type of hearing loss can often be medically or surgically corrected. 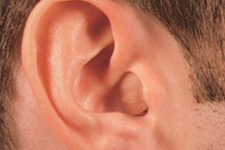 Sensorineural hearing loss occurs when there is damage to the inner ear (cochlea) or to the nerve pathways from the inner ear (retrocochlear) to the brain. Sensorineural hearing loss cannot be medically or surgically corrected. It is a permanent loss. Sensorineural is a type of hearing loss in which the root cause lies in vestibulocochlear nerve, the inner ear, or central processing centers of the brain. 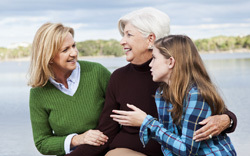 Sensorineural hearing loss can be mild, moderate, or severe, including total deafness. Mixed hearing loss can occur when conductive hearing loss occurs in combination with a sensorineural hearing loss. In other words, there may be damage in the outer or middle ear and in the inner ear (cochlea) or auditory nerve.